This photo is a collage of 12 independent Aultman photos 1 and 7 show Villa. 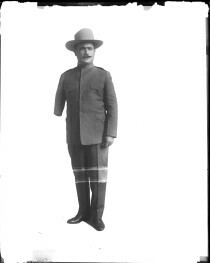 Photos 2 and 4 are refugees from the Mexican Revolution. Photo 3 shows the Red Cross. 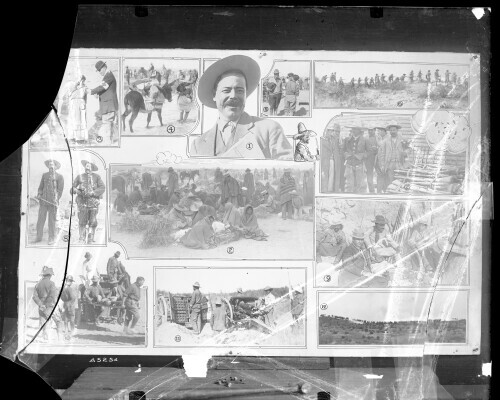 Photos 5 and 10 appear to be of the U.S. Military in the Mexican Revolution. Photos 6, 8, 9, 11, 12 are of Revolutionaries.